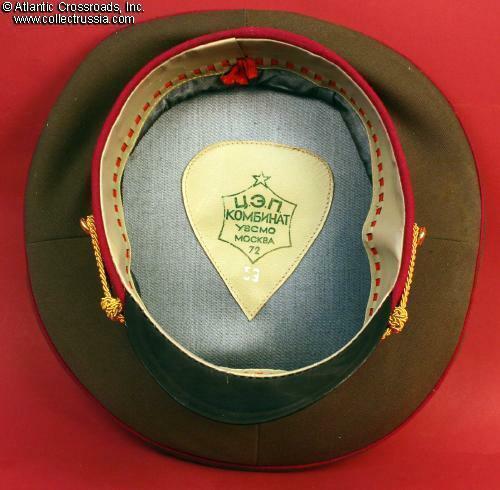 Service visor hat for a Military Justice, Engineering, or Medical General Officer, 1972. Service visor hat for a Military Justice, Engineering, or Medical General Officer, 1972. Size 59. In olive drab gabardine, with raspberry cloth band, gray satin liner. Style with medium size crown. 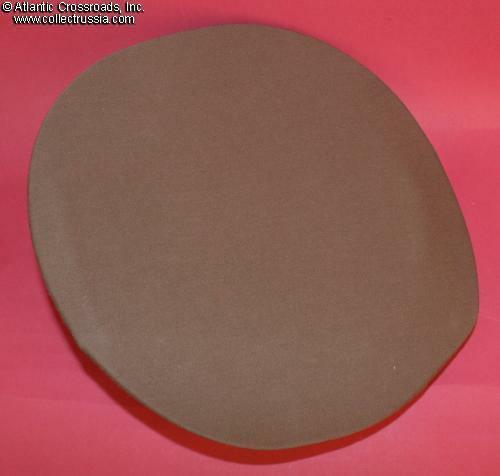 The hat badge is the type specifically used on general's hats: 2-piece construction, in aluminum and paint. The sweat label of the Moscow maker shows the 1972 date. Gold chin cord. Real leather sweatband, perforated to accept a scarlet drawstring for an adjustable fit. 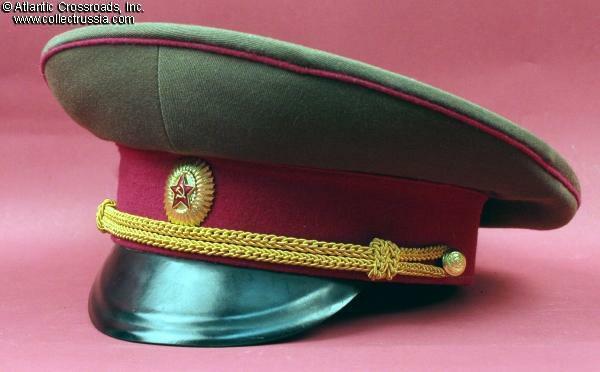 This color of piping was used by various branches of the Soviet military but by 1972 the General wearing this cap would have had to have been an officer with a law, an engineering, or a medical degree.